We LOVE Sundays! For us, it's the best day of the week, because we get to see our faith family come together for a common goal, to glorify the name of Jesus! No matter who you are or how you prefer to worship, we have a place for you at Gainesville First. See what a Sunday is like below. The Classic Worship service incorporates hymns, prayer, scripture, and sermon. Stirring music by the Chancel Choir, special music provided by our youth and children's choirs, and occasional special instrumental music make this service a vital part of our worship as a congregation. Join us in the Chapel for a fresh, intimate worship experience with acoustic music and the Sacrament of Holy Communion. All are welcome, come as you are! This is a casual and informal worship service with contemporary praise music led by the Worship Team in the Great Room. Children are invited to participate in Kid's Small Groups. 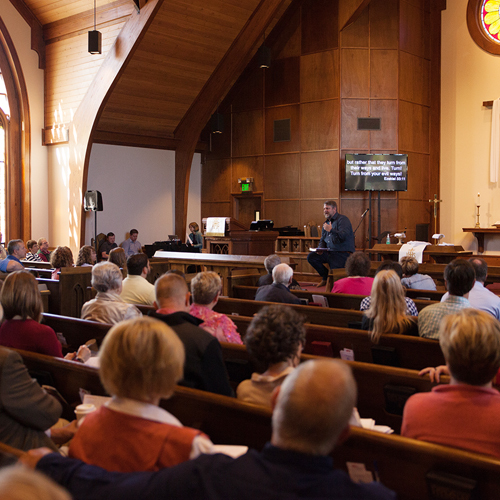 In 2018, Gainesville First UMC partnered with Antioch UMC to form a cooperative parish. We lovingly support the ministry and work being done through our brothers and sisters at Antioch.